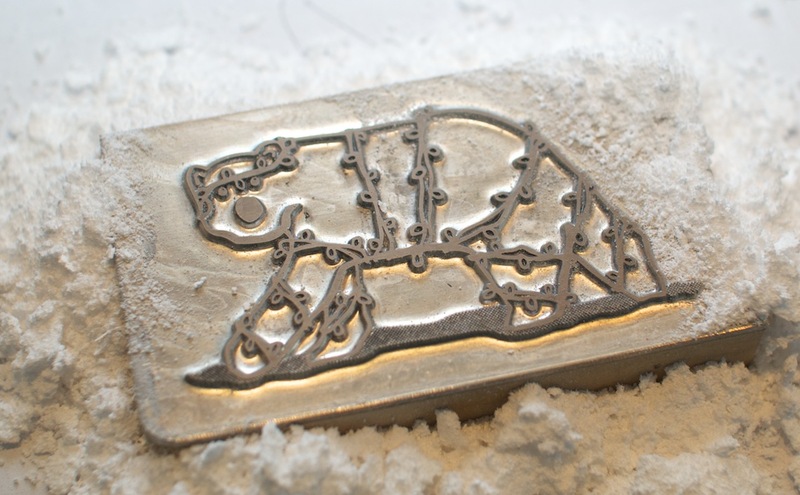 We’re always searching for unconventional ideas for our annual hand-letterpressed Christmas cards in my world. Always plenty of bad unconventional ideas come up (I actually think the Angel Grinder was pretty good! 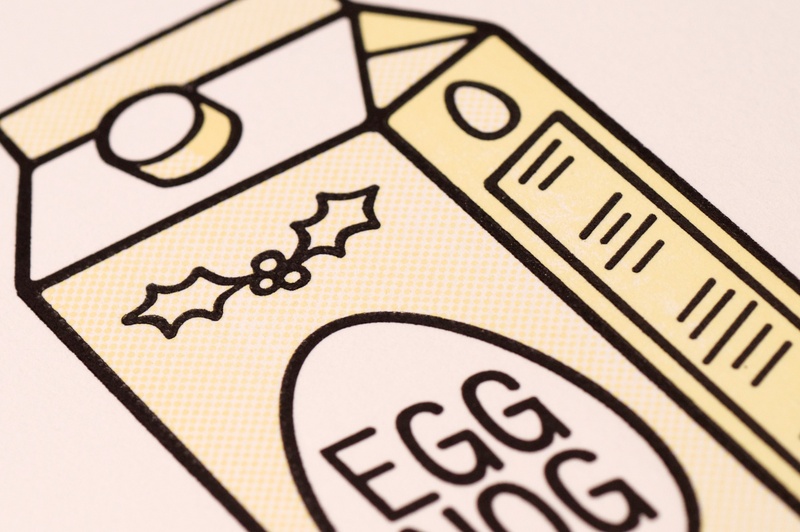 ), but this year’s was a doozy: eggnog. 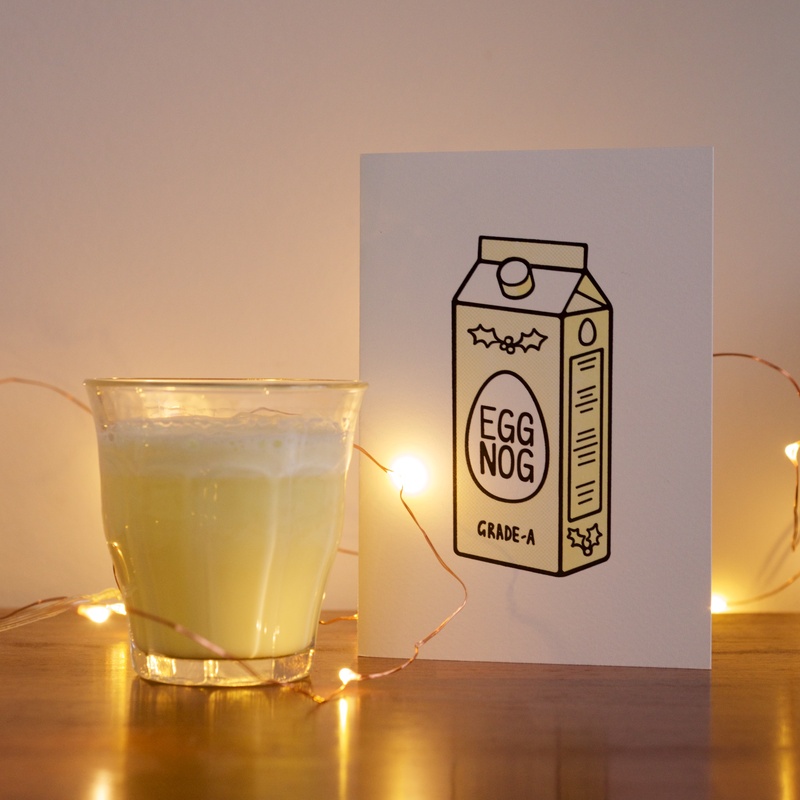 I’ve been spending Christmas outside of the UK for so long now I’m not sure if eggnog has finally been imported to these shores, but even in its cultural home of America, it still baffles me. It’s kind of like the milkshake you never wanted. It doesn’t really taste eggy. It sits in the same American Holiday category as pumpkin pie in my mind – a kind of not-entirely-sweet thing that is equally misunderstood outside of the US. I’ve acquired a taste for pumpkin pie now, but every year I’m on that side of the Atlantic ocean at Christmastime, I drink eggnog and wonder why I’m doing it. I even went to the effort this year of making my own eggnog from fresh ingredients – the real stuff is basically the same ingredient set as a good gelato, so nothing to be afraid of (though your pipes might feel differently). The homemade stuff was definitely better, but still utterly perplexing. 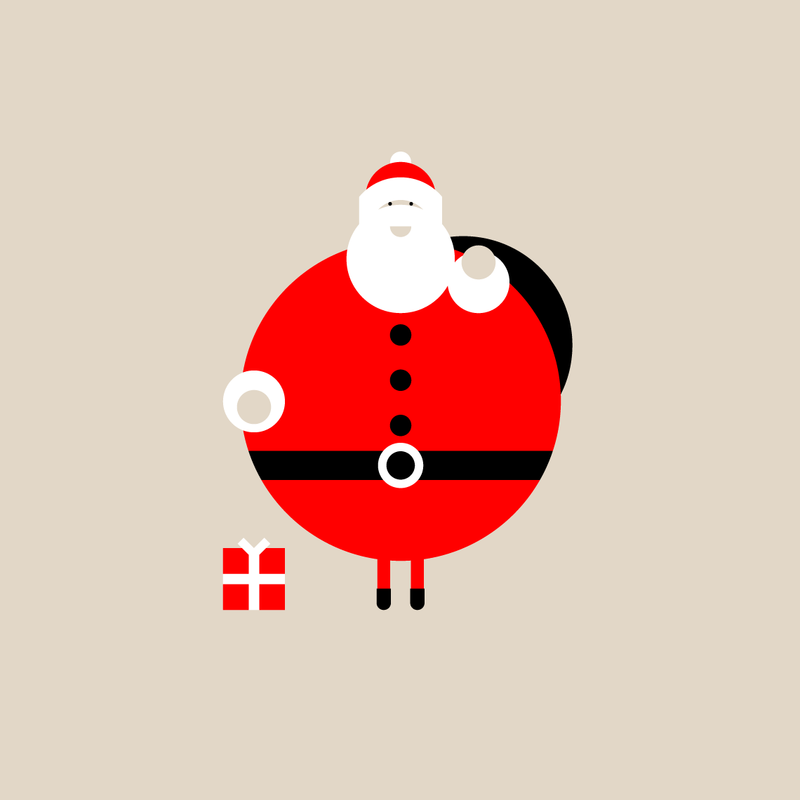 Perplexing – perfect for our Christmas cards! To print we went, with a nice little halftone pattern giving the illustration that extra bit of depth. Super satisfying! Lilly and I were busy travelling a bit this autumn, so Christmas cards became a bit more of a clandestine operation than in past years. As usual, we struggled to come up with a design. When I sent Lilly a sketch of this it made her laugh, so in absence of a better idea I took a punt on it. When the plates arrived, Lilly was worried that it wouldn’t be understood by most of our recipients, but sometimes you’ve just gotta be weird. 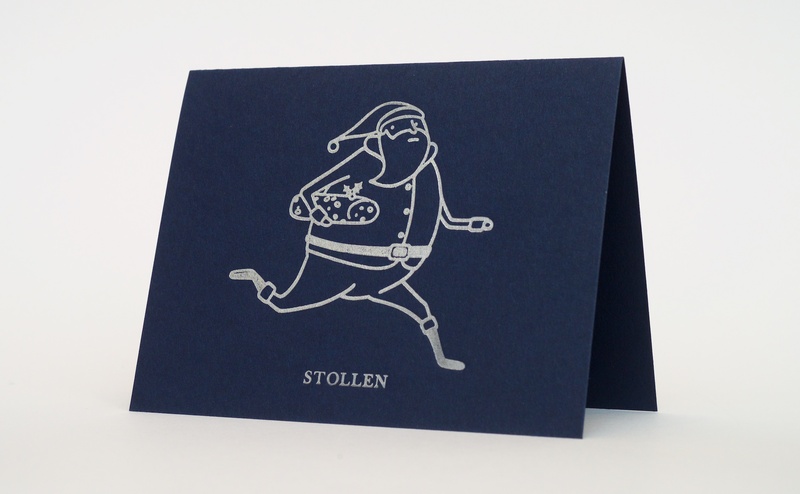 Our rotund Santa has stolen the stollen (which wasn’t the only thing we believe to have been stolen in 2016… Ahem). I went for slightly smaller cards this year thinking I would do a design that didn’t max out our tiny press so much, but I still ended up pushing the tiny Adana’s limits. We got surprisingly good results out of it though, and the silver ink highlighted the reasonable impression it made too! 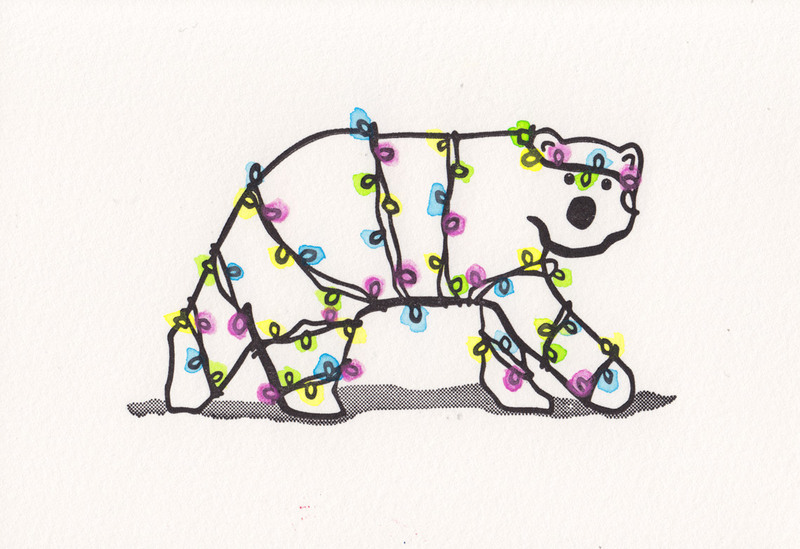 I’m selling christmas cards again this year. Click here to buy some! Last year was my first year selling my letterpressed christmas cards, and in hindsight, it was a bit ambitious to try and sell every single design I’ve done all at once when I was printing them on demand. To keep things simpler, particularly under the time constraints, I’m just going to be printing and selling the one design this year, which you should be seeing a mockup of above. This year was the year of the bicycle for me – Lilly and I got bicycles for the first time since we were teenagers, and spent the summer cycling around Hertfordshire, so we decided to reflect that in this year’s design. 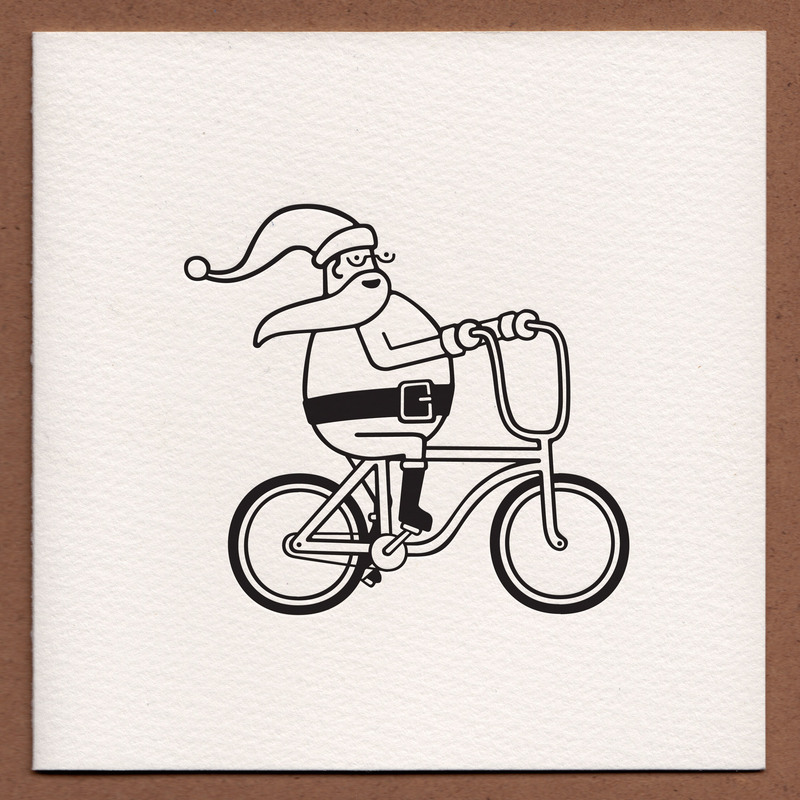 In developing the illustration, I tried to put Santa on a variety of bicycles (he looked particularly ridiculous on a racer bike!) and found he fit best on a slightly beach-ish cruiser. 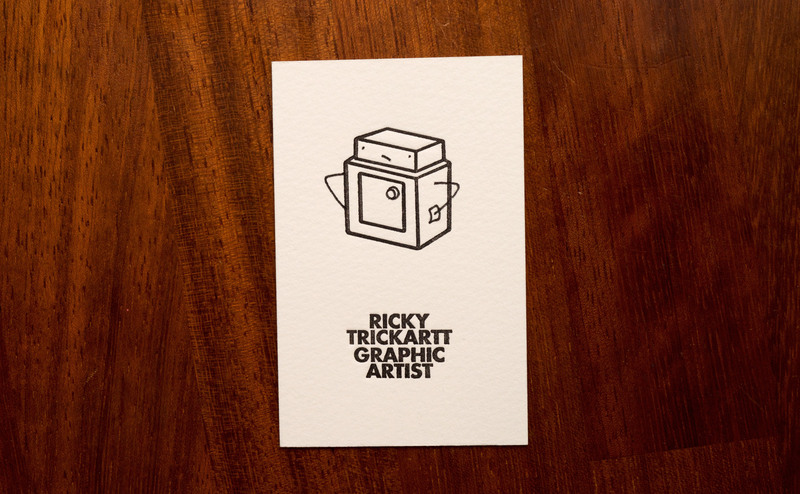 As ever, these cards are being hand-letterpressed onto high-quality 300gsm Somerset card stock, and they will come with appropriately-sized envelopes. This year the envelopes are made of recycled paper, which is a big look! 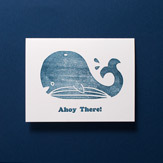 Cards will be pressed and sent out to you during the first week of December, so they arrive with you in good time to send out to your people. It’s a small selling window, so get yours now! 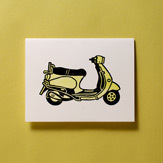 Would you like some to send to your nearest and dearest? Go and get some here! Ah, November. It’s that time of year when the days get so short you’ll miss the sunlight if you blink, and time to get the old Adana back in motion – it’s Christmas card time! 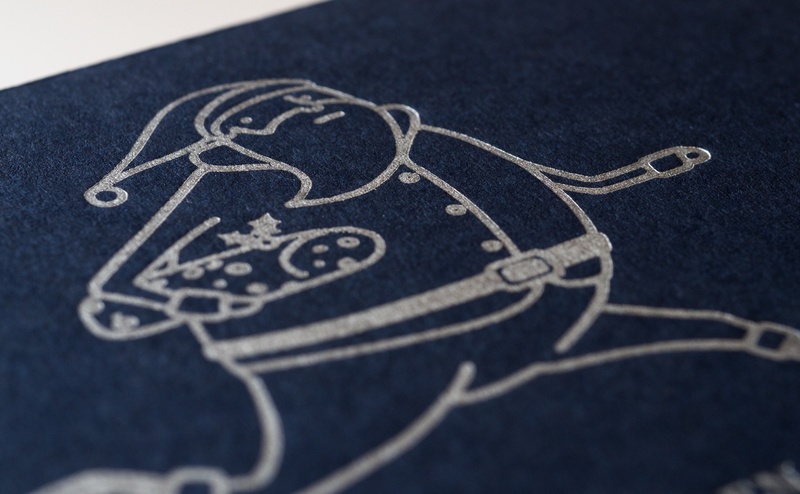 Lilly and I have been making hand-letterpressed Christmas cards for a while now. We come up with a new design each year, so now we have a little range of designs and feel a bit more organised than past years, I think it’s about damn time I put some up for sale! 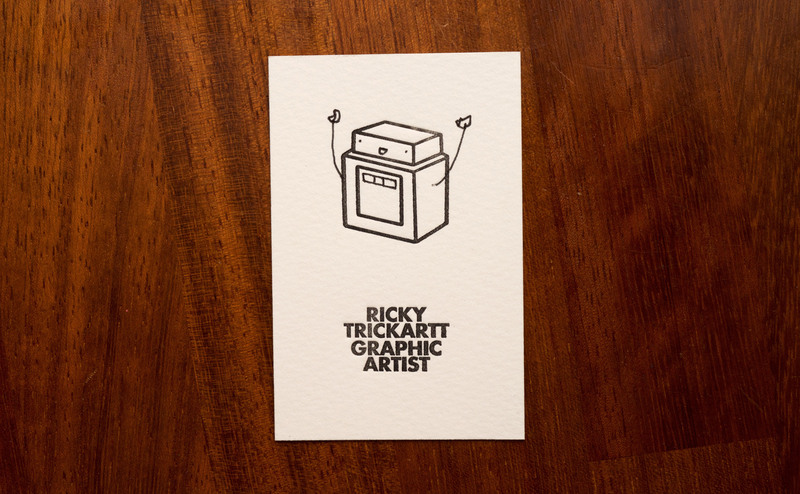 …or if you can’t decide which ones you like the best, you can also buy a multipack of all four designs here! 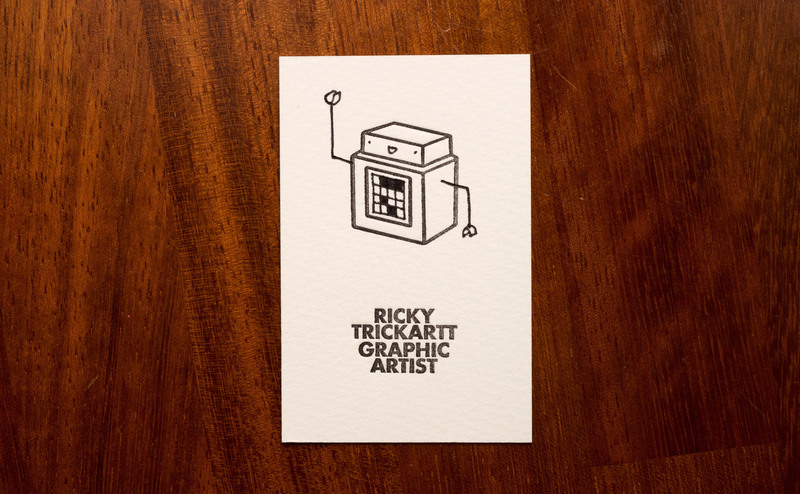 The cards are all printed on a very nice 300gsm Somerset paper stock, so they’re nice and heavy and when combined with the letterpressed artwork, there’s a wonderful tactility to them – something you could never dream of getting from an e-card! 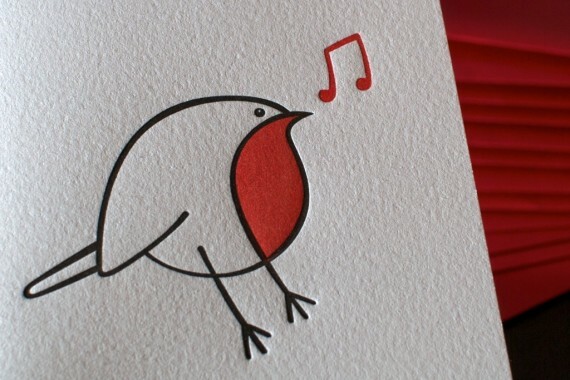 All cards will also come with an appropriately sized and coloured envelope – either red or silver. I’m calling this a speed sale because by the nature of Christmas coming on a fixed date, they’re only going to be up for sale for a couple of weeks. All orders will be printed up and posted out to you by 1st December, which should give you plenty of time to fill out the cards and get them into the mail to your friends and enemies before Royal Mail’s own deadline. 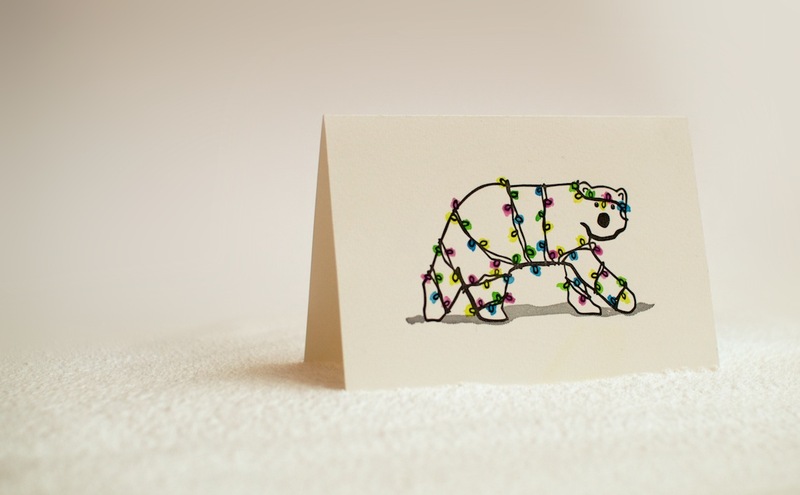 Head over to my tiny webshop now to get your orders in, and send your friends some hand-printed and totally unique christmas cards – receiving mail is awesome! He was cute, but Lilly was struggling with his sack and we realised a three-colour job (one of the colours white) would’ve been a bit ambitious for our tiny press. 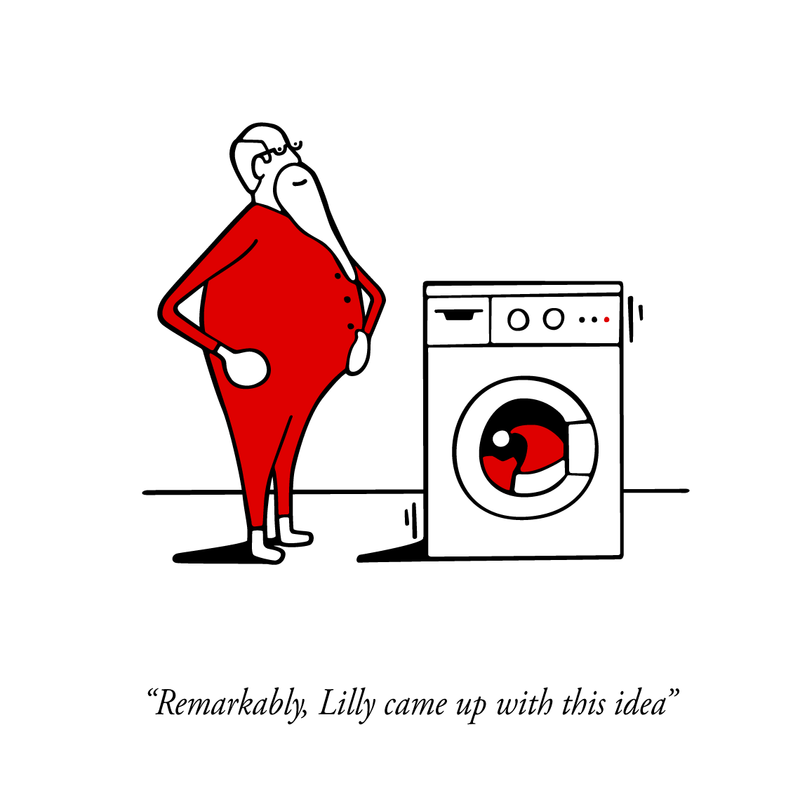 We sat there trying to think up some other ideas, and because our flat is littered with my washing-machine-based artwork, Lilly suggested we did some kind of festive washing machine. 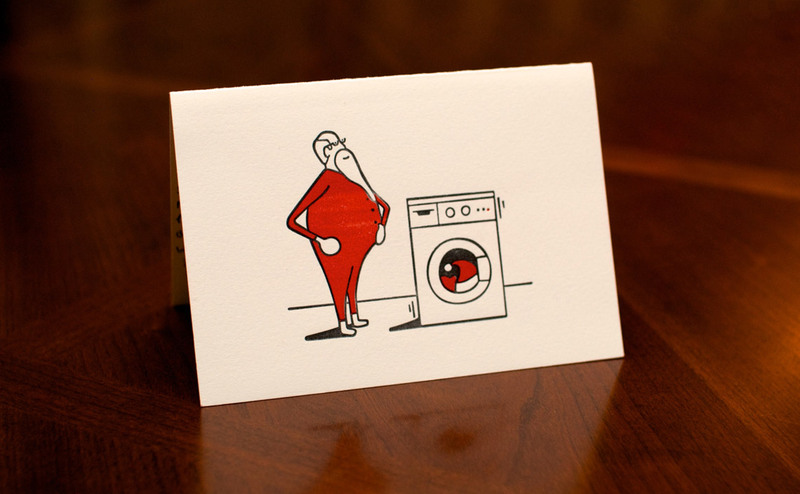 It might be me with the washer obsession, but this card was Lilly’s idea. I’ve taught her well! …Then with a bit of reworking (Lilly said he should be smiling proudly at his washer, not frowning at its extravagant spin as I had imagined the scene), we had our design finished. We thought it looked like it should be a New Yorker cartoon. We sat on the design for a couple of days to make sure we were happy with it, then as soon as I sent the artwork off to the plate manufacturers to print, Lilly had an attack of second thoughts, worrying it was too weird. It was too late though, and after a couple of days’ wait, the plates arrived and we were in print. Once they were all made, Lilly became a believer again, so into the postbox they went! 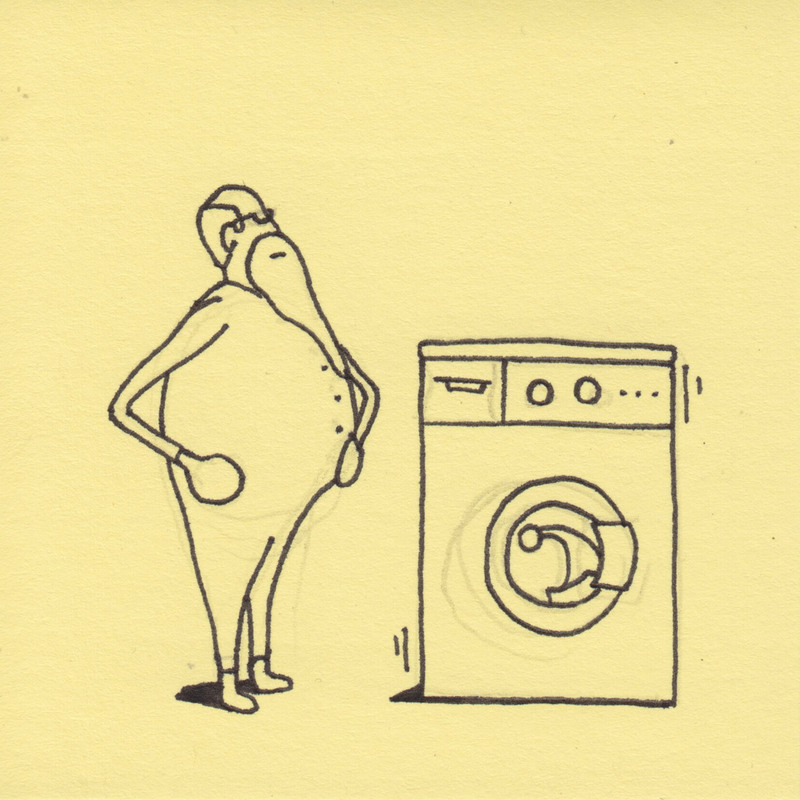 Merry Christmas to everyone, whatever your faith or washing machine brand! White: The colour of the arctic, and of the polar bear. It’s the perfect camouflage! 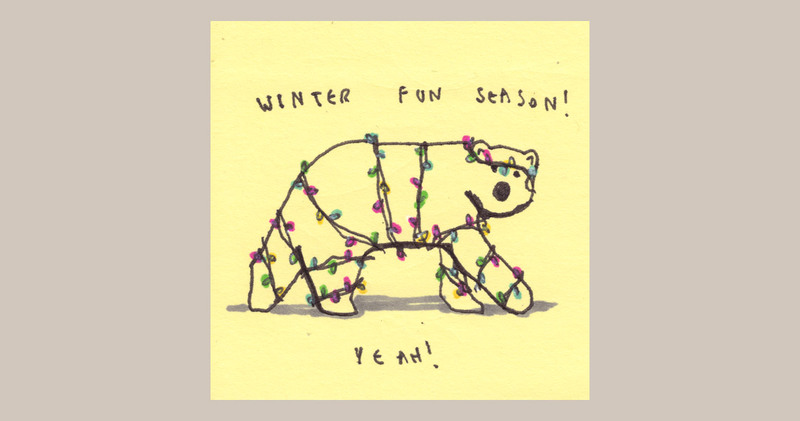 Perfection aside, it could be a little more festive. Like all of my best ideas, this one started out life as a post-it sketch. Surprisingly, Lilly liked him, so in an unusual strike of decisiveness, I traced him up and off he went to Centurion for another nice plate. 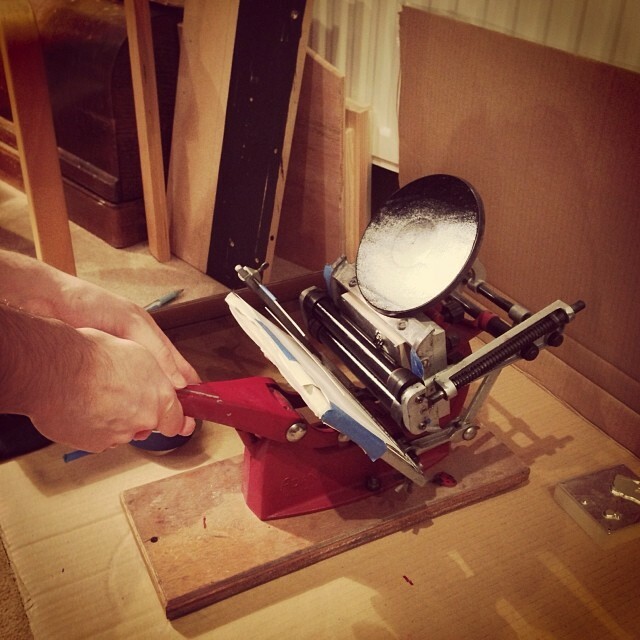 We dusted off the Adana, and got printing. 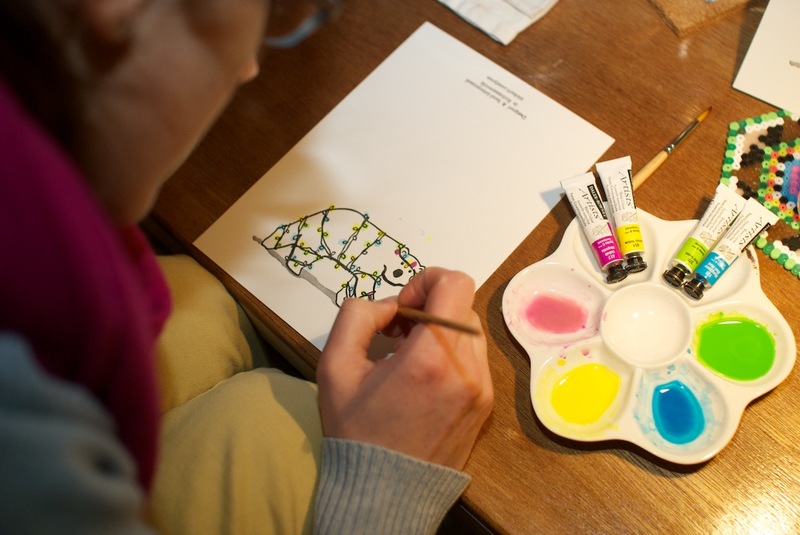 We figured it wasn’t really efficient to print each colour on the letterpress, so to make things even more unique, Lilly and I painted 2,700 tiny fairy lights in watercolour. 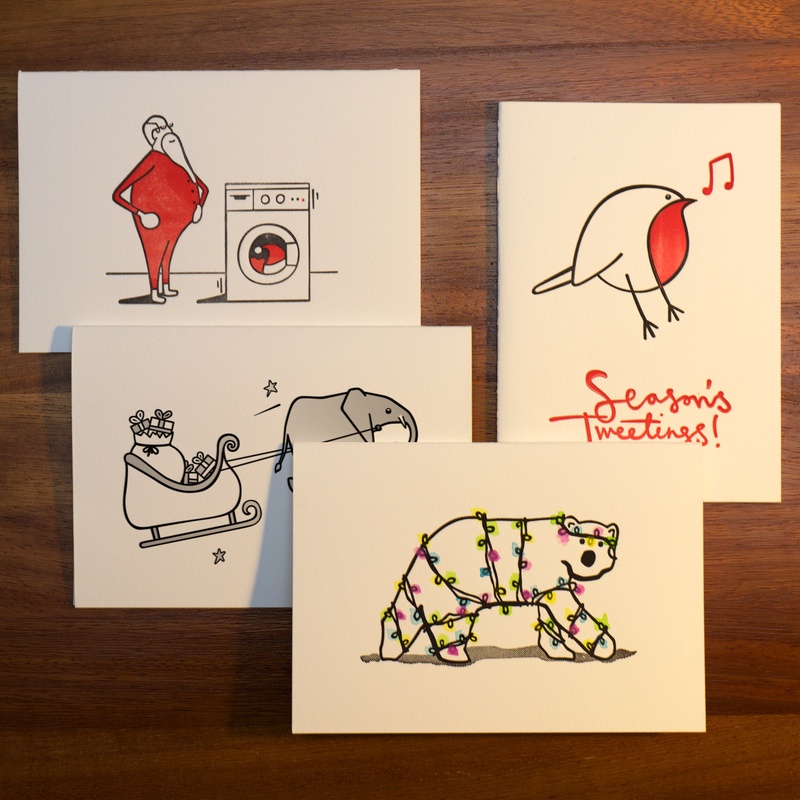 Because we hand-painted them, every single card we produced this year is unique. Cool as a polar bear! 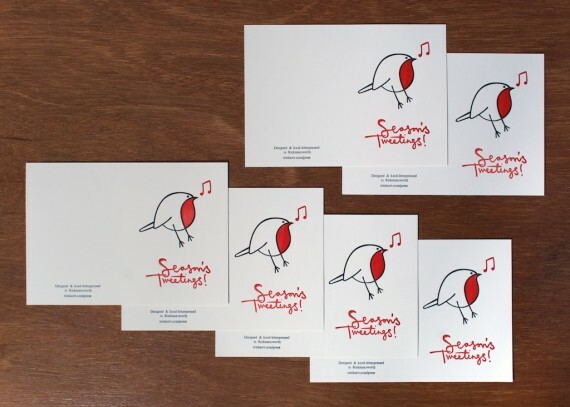 A nice girl who bought a set of the letterpressing inks I was selling earlier this year tipped me off about Centurion Graphics as a good place to get printing plates made, so for this year’s Christmas card designs, we did exactly that! 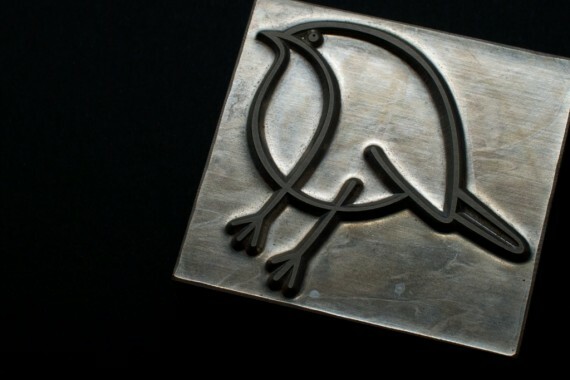 We got some nice heavy-guage magnesium plates made up of a robin design I came up with under Lilly’s direction. 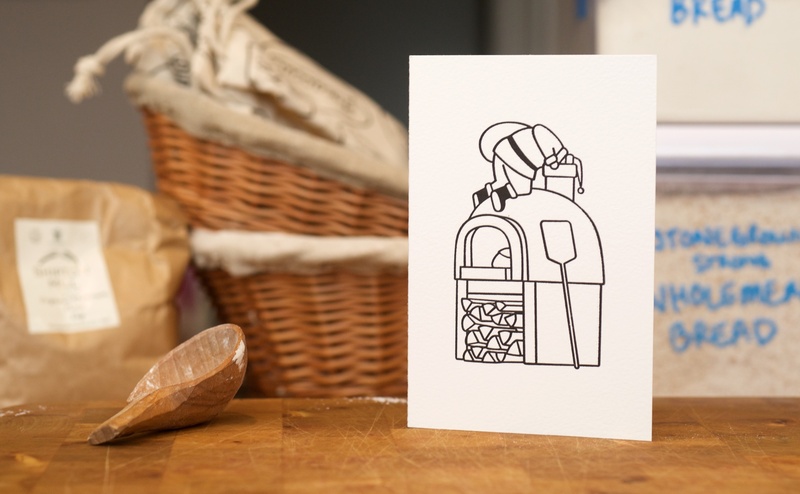 They plates are really good – so much easier than my previous linocut efforts, and capable of a really nice deep impression in the card too. 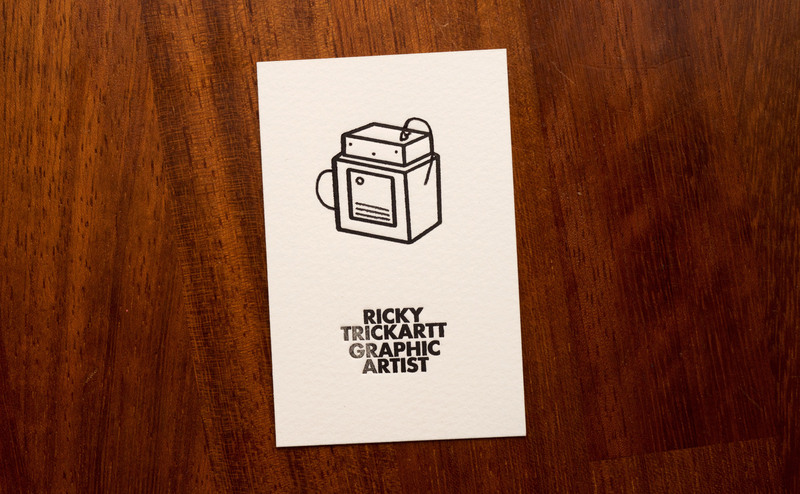 Unfortunately I was a bit hasty when I started to print up these cards and by rushing I messed up the text on the front a little bit, ending up with a bit of ghosting from improper inking. Oh well. 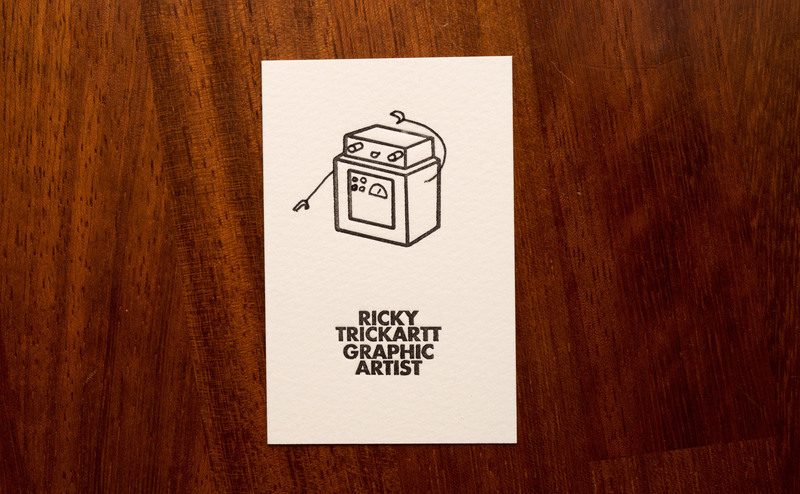 I have opened a tiny webshop! 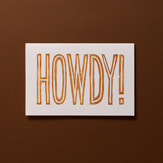 As well as selling some old large-format prints, the main reason I set up this shop is to sell some letterpressed greeting cards I have been working on for the past few months.